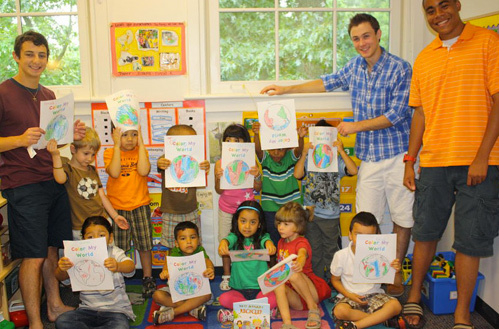 Giving kids an artistic voice. We place a bin in the kitchen of every restaurant we work with. When crayons are collected after meals, the servers can place the crayons in the bin, which is just as convenient as a trash can would be. Once the bin is full, the Color My World representative for that particular restaurant collects the crayons. We then consolidate the collections from the restaurants and sort them, taking out any unusable crayons. 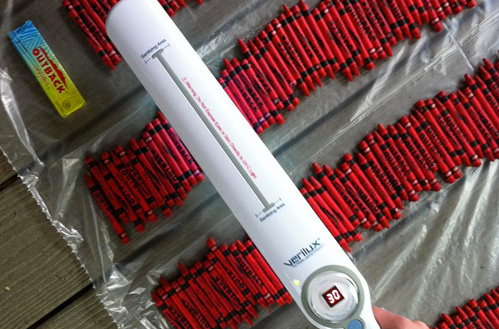 After they have been consolidated, we apply a UV-C light to the crayons, using a UV wand (The Verilux CleanWave® UV-C Sanitizing Wand uses the same advanced UV-C light technology used to sanitize hospital equipment for over 30 years). We then deliver them to the schools, centers, or shelters to which we donate. The crayons that cannot be donated (because they are unclean or broken) are melted down and molded into new crayons, thanks to our partner Overflow Creations. 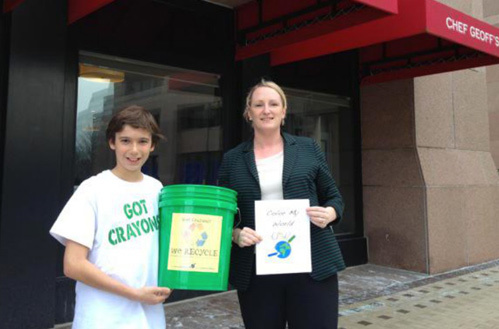 When we donate the crayons, we spend time coloring with the children and teach them about recycling and its benefits.